Planning family holidays is a particular challenge for the millions of divorced families out there. In fact, one out of three Americans is part of a blended family. Divorced families face an even bigger challenge with holiday planning with children shuttling back and forth between mom's house and dad's house. There are all those logistical questions. Whose turn is it to have the children for Christmas morning? What if both parents are having a turkey dinner on the same day? What do you do if you end up solo on a major family celebration day? Is there a better way for divorced families to survive the upcoming holiday season? The key is doing some advance planning and preparation. 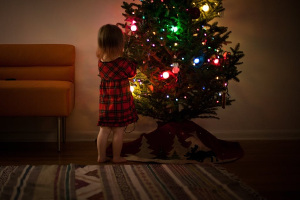 Without that, holidays can end up being a time for stress and re-opening of old wounds, both for divorced parents and their children, instead of a time to relax and unwind. I believe these 5 tips will help to add more fun and relaxation to your holidays. 1. Become a Chess Master. Instead of planning your holidays one at a time, take a look at the overall picture of the different holidays e.g. summer vacations, Halloween, Thanksgiving, Christmas, New Year's, Valentine's Day, Mother's Day, Father's Day. Plan and negotiate a few holidays ahead, just like the chess master thinks a few moves ahead. Getting the big picture and seeing all of the options at one time makes it easier to identify trade-offs and compromises that work for everyone. 2. Keep the Children's Best Interests in Mind. Be flexible and use your children's best interest to guide you. Studies show that children do the best after divorce when there's cooperation between their parents and they maintain ties with their extended family. Keep the long-term best interests of your children in mind when mapping out holiday schedules and logistics. 3. Don't Use the Children as Messengers. The holiday schedule should be agreed upon by the adults before information is shared with the children. Don't promise your children a special family time with you before you reach agreement on that with your former spouse. Communicate your schedule requests directly to your former partner, not indirectly through your children. 4. Create new family holiday traditions. The family looks and feels different after divorce, so it's a great time to come up with new traditions. Instead of the post-Christmas dinner family walk, perhaps you start a post-Christmas dinner karaoke contest instead. Explain to your children the opportunity to create something new. You may choose to celebrate holidays on different days than the calendar says. Including your children in the discussion and planning will give them a sense of security, pride, and ownership in a successful outcome. If you don't have your children for a holiday, be pro-active and make a plan for yourself. Find some friends to be with or get involved with charities need an extra hand in the holidays, like a soup kitchen or family shelter.